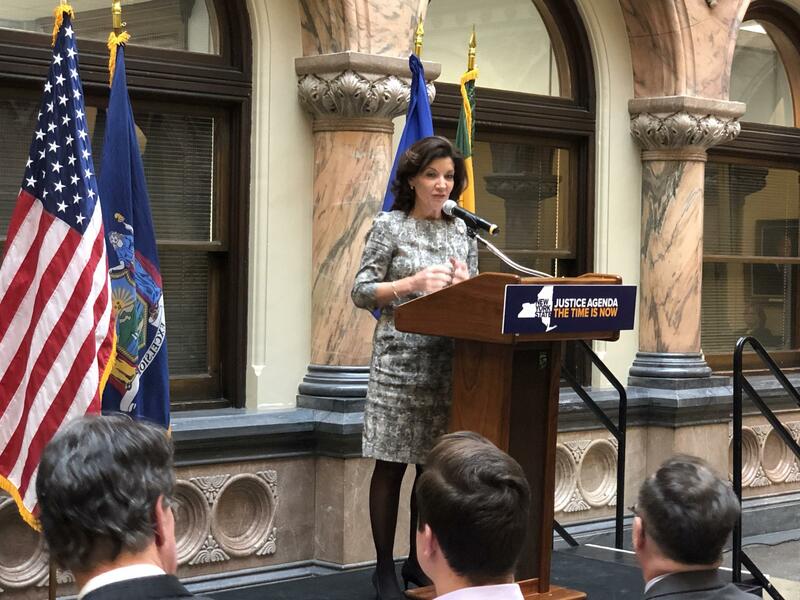 Rochester and the Finger Lakes region will be getting more than 520 new jobs from two projects that Lieutenant Governor Kathy Hochul talked about Friday during at stop at Rochester City Hall. The jobs will be generated by two projects that Governor Andrew Cuomo hinted in the budget proposal he released this past week. One of them involves the addition of up to 400 new jobs over the next five years in Geneva, at a company called RealEats, a meal delivery company. The other project, according to Hochul, is a joint venture between LiDestri Foods and a Belgian company, which would add more than 123 jobs. It involves a new production facility at Eastman Business Park. It is a $51 million project. New York State is offering up to $4 million through the Upstate Revitalization Initiative and another $4 million is possible through the Excelsior Tax Credit Program in exchange for job creation commitments. “We’re very excited about them having now their fourth location in this area, and they’re just growing exponentially and we’re really happy they they’re here in this area that we think is the epicenter of the agriculture and culinary areas now, and this is an important part of the infrastructure of our economy,” Hochul said. For the RealEats expansion in Geneva, the state is providing a $500,000 Upstate Revitalization Initiative grant and the company is also eligible for up to $3 million in tax credits. The company was also helped by $1.1 million in Community Development Block Grant funds awarded through New York State Homes and Community Renewal to the City of Geneva and Ontario County over the past two years. Hochul says that food processing is an important industry for the Finger Lakes.